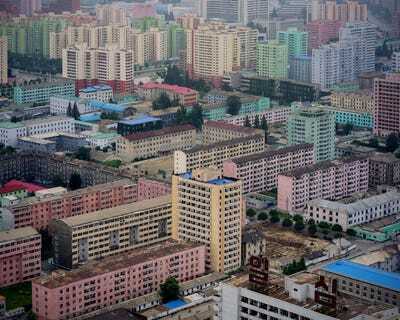 North Korea is one of the most secretive and isolated countries in the world. And yet, tourism is booming, all things considered. The government has said it plans to welcome two million tourists annually by 2020. 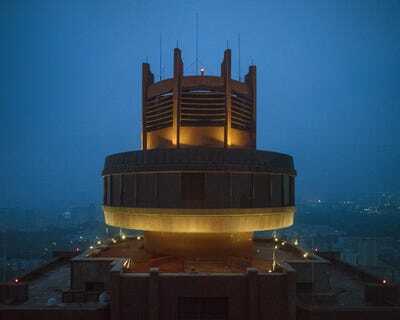 Foreigners visit through state-sanctioned travel agencies and are supervised from the moment they set foot in the Land of the Morning Calm, which is filled with breathtaking cityscapes and oddly shaped buildings. 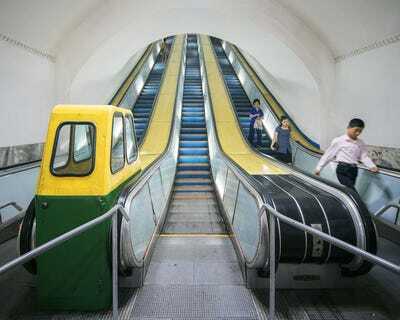 There are reminders of North Korea’s repressive and totalitarian regime everywhere. Portraits and statues depicting the Kim dynasty are on every corner and demand respect, while tour guides rarely stray from the scripts they are given. 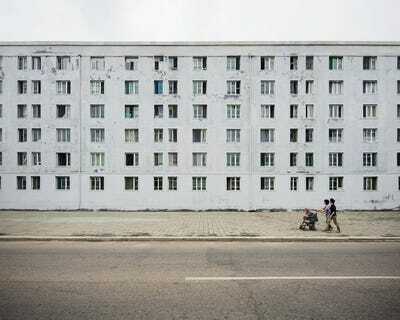 In 2016, photographer Raphael Olivier booked an architecture tour of Pyongyang and captured these remarkable images. 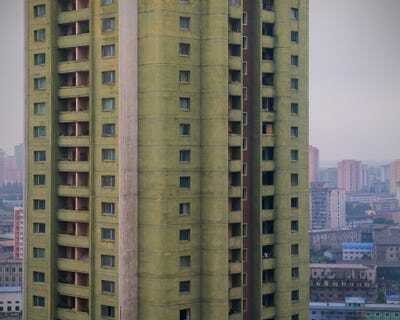 'The first word that comes to mind would be eerie,' Olivier says of the general atmosphere in Pyongyang, North Korea. There are some three million people living in the nation's capital, and yet, most of Olivier's photos show vacant streets. He says people work, study, and keep busy out-of-sight in the daytime. Oddly, dramatic music blares throughout the downtown area. It's a relatively new city and one that is still evolving. 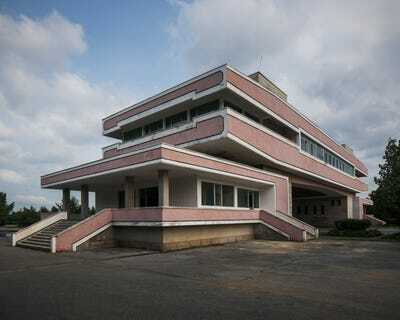 The US effectively leveled the capital during the Korean War bombings, and the architecture of Pyongyang rose from the rubble in 1953 onwards. 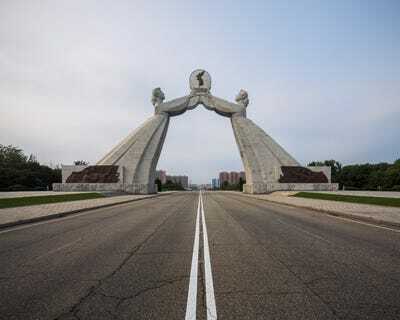 The country's founding father, Kim Il-sung, conceived of the new Pyongyang as 'a great garden of Juche architecture,' or of self-reliance. 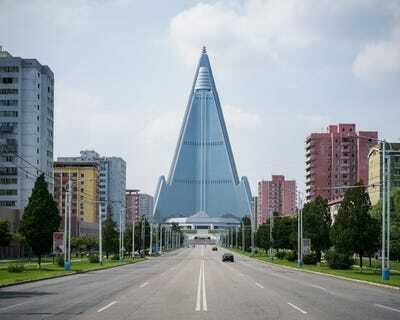 The Ryugyong Hotel began construction in 1987. Today, it towers over the city. Concrete megastructures painted like Easter eggs dominate the skyline. These towers are meant to radiate strength, resilience, and national pride, according to Olivier. 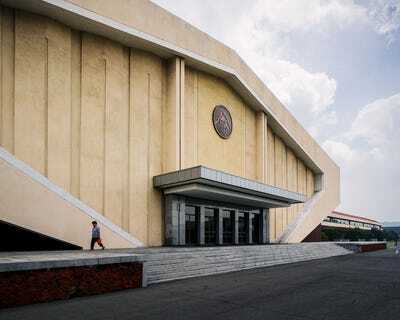 While the buildings aren't all that elegant, their intended durability represents one of the chief tenets of Juche ideology. 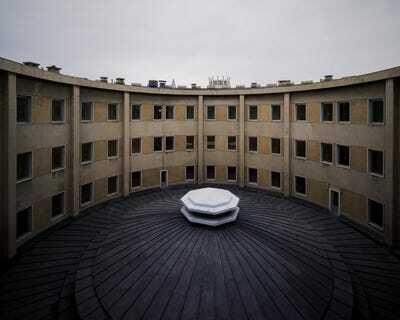 'The city is an incredible showcase of beautifully preserved vintage socialist architecture, untouched by the visual pollution of commercial advertising billboards, flashy retails, or ugly office buildings,' Olivier says. 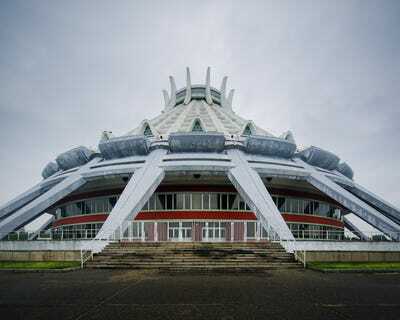 The Pyongyang Ice Rink, constructed in 1981, looks like a futuristic wigwam. 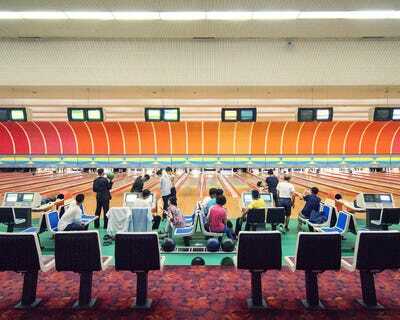 It has space for over 6,000 spectators. Inside, Olivier found skaters of various skill levels killing time on the ice. Portraits of Kim Il-sung (the country's first supreme leader who also established Communism in North Korea), and his son, Kim Jong-il, hang overhead. 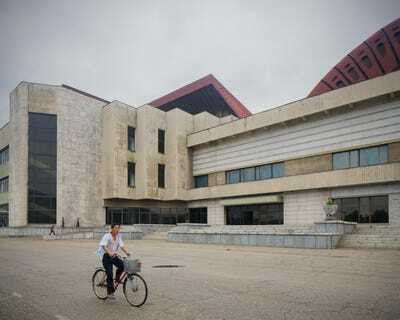 The Pyongyang International Cinema House sits mostly abandoned on the city's edge. 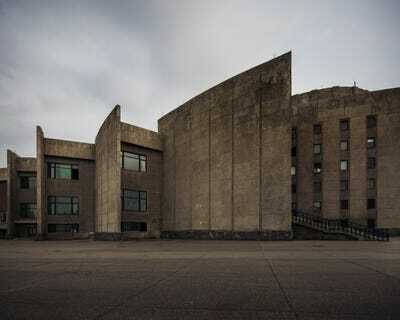 The bare concrete and sharp edges draw from the principles of Stalinist neoclassical architecture. 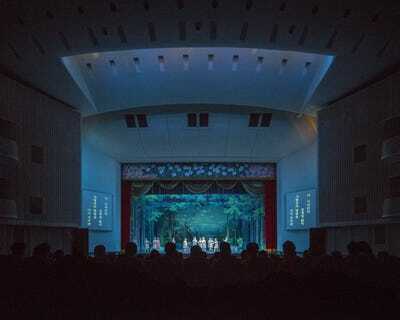 The theatre opens for special events, such as the Pyongyang International Film Festival, which is held every two years. 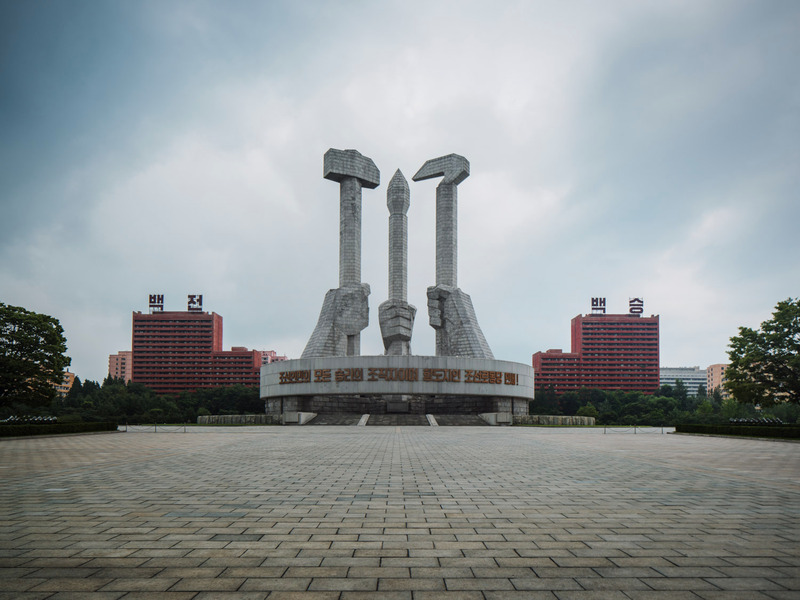 Pyongyang is hardly void of culture, according to Olivier, though it may be difficult to find. He also noticed few people glued to their smartphones, due in part to North Korea's chokehold on the internet. It was 'strangely refreshing,' albeit for an unsettling reason. 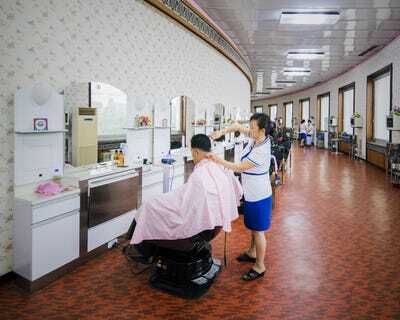 He watched a man get a haircut inside a state health complex. 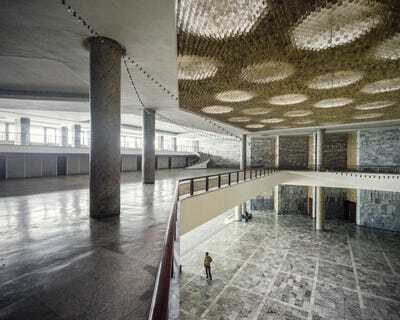 Olivier even caught a show at the Pyongyang Grand Theatre, where the North Korean Revolutionary Opera performed. Upon entry to the country, visitors are instructed on what they can and cannot take pictures of. Customs agents inspect your cell phone and other digital devices, including cameras, tablets, and storage cards, for banned content on your way out. 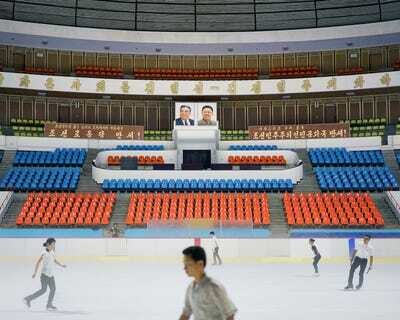 In Pyongyang, you see what the government lets you see.